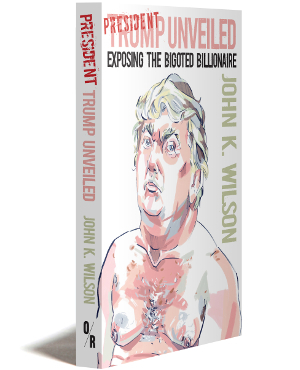 John K. Wilson is the author of seven books, including Barack Obama: This Improbable Quest, Newt Gingrich: Capitol Crimes and Misdemeanors, Patriotic Correctness: Academic Freedom and Its Enemies, and The Most Dangerous Man in America: Rush Limbaugh’s Assault on Reason. He is the co-editor of AcademeBlog.org and the editor of Illinois Academe. He has a Ph.D. in education from Illinois State University, and is the co-organizer of the Chicago Book Expo and the Evanston Literary Festival.